HomeNews ArticlesWhat is Decra-Led Window Leading? Leaded windows (a glass option for our clients) are a fine choice of decorative window for any period property, and they’re becoming increasingly popular with modern homes too. Decra-Led self-adhesive lead strips have been a major part of decorating exteriors of homes, commercial & public buildings across the world. For homes and public buildings in and around Surrey, leaded windows are extremely common; this is mostly due to the era in which the properties were built across the area. At Sheerwater Glass, we utilise Decra-Led to repair and finish any leaded window style. Decra-Led is a lead tape which is used when creating leaded glazing for windows, doors or conservatories. It can be used for other glazing panels, including mirrors, furniture panels and stained glass leads. The main purpose of Decra-Led is to layout the lead tape to form your decorative patterns for your glazing, or to repair your current lead windows. The reason we utilise Decra-Led is because it is so reliable. When the lead is applied correctly, it will last for many years. With many of the leaded windows you see, the lead itself is as old as fifty and still retains the original quality as when it was first applied. Available for windows and glass. Customisable to suit your taste. Finished to appear aged or antiqued. Provided with a 10 year guarantee. Why choose us to install your decorative leaded windows. Although we are experienced with utilising Decra-Led to repair and decorate your windows or glass, we’re highly experienced with installing and repairing decorative leaded windows in Surrey and the surrounding area. 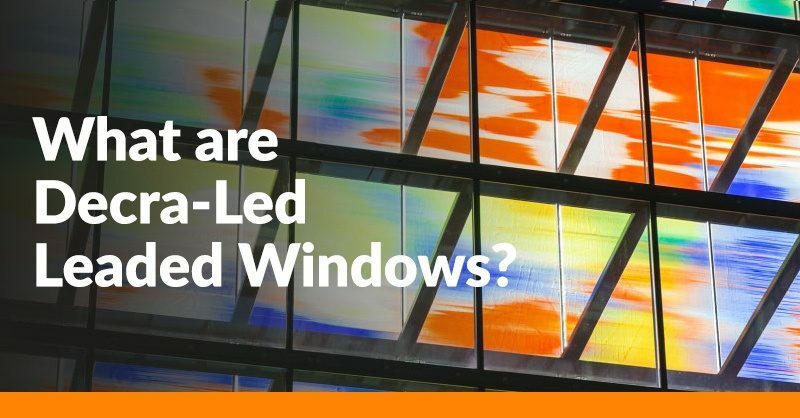 Despite the fact that decorative leaded windows are considered to be an older style of window, they are much more efficient today than they ever have been. They guarantee energy efficiency, security and quality design options. Want to discuss your lead options?